my crewcab in Colorado recently. This was the inspiration to build mine. 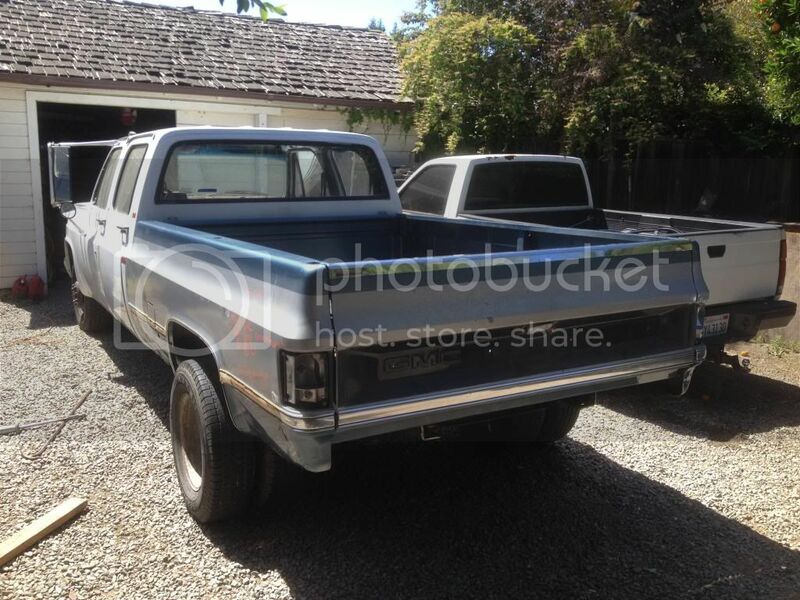 Here's my 1982 GMC. I just finished the 4" lift. arrover- I'm not sure if its just my eyeballs messing with me but did you put a zero rate in the rear to move the axle back when you installed the shackle flip? It looks like the rear is shoved forward quite a bit. I had to use that on mine to center the rear back up after my flip. BTW.. turned out great! nice rig! arrover - nice pickup and great job with your YouTube videos... very helpful! Thanks guys! No, I did not put a zero rate in. The rear wheels are forward a little more than I would like but I'm probably going to just leave it as is for a while. I'm kind of tired of working on the lift at this point in time! I had a hard time getting the truck to sit level so I feel like if I put a zero rate in the rear, I will need to put one in the front. Otherwise I will have way to much rake. 1968vetL-71, your color/wheel/tire/lift combo is really working. Awesome truck. 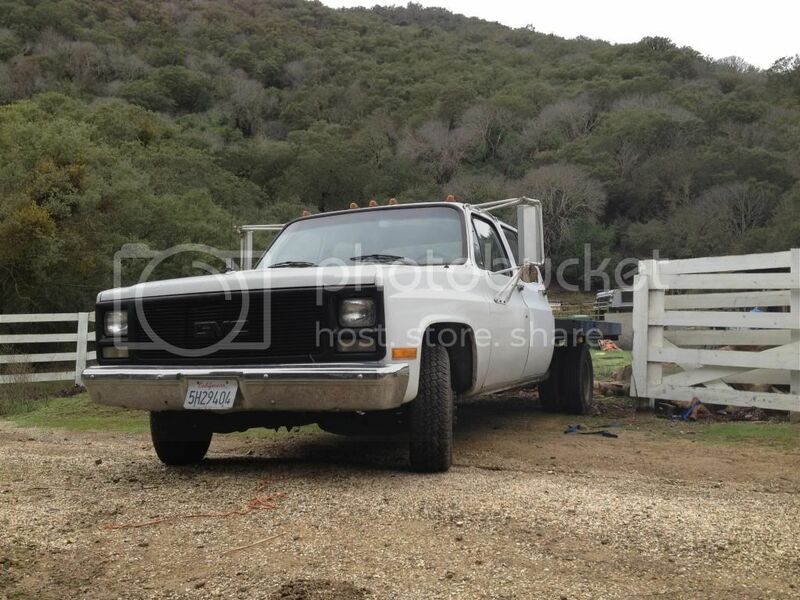 Lets see some updated ones of the dually please. Here are a few of my 91 R model, haven't seen her get posted over here yet. 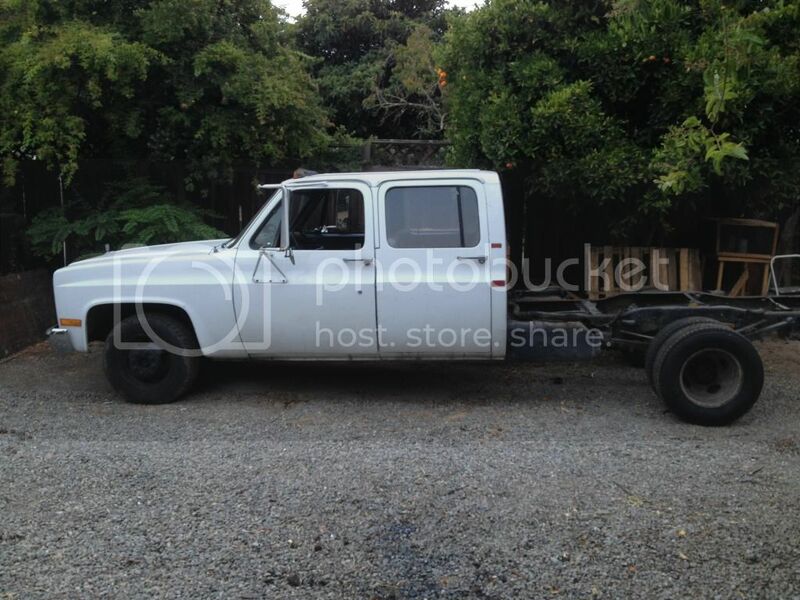 Bought it as a r3500 flatbed dually, converted to R3500 fleetside dually. Its got the bumpers and lights all on it and the tubs are finished as well as some of the body work, so it's back in service as my daily work truck. Once I find 4 clean power doors I can finish the body work and paint her. Man these crew cabs are awesome! I would love to find a 73/74 blue and white crew cab to tow my SWB. I've been looking with no luck. Yezzi there was a completely stock 73 cc on cl here in phoenix yellow and white. Sorry I did not get to talk to you at Dino's seemed like you were cornered but loved seeing your two squares they looked awesome. Also thanks for the stickers!! Ah man sorry we didn't get to hang. Next time we need to make a point! The yellow one is a little too far gone for me. Please keep your eyes peeled. ^ very cool. Nice to see someone else from SC on here. Here's a rough sketch of my dream pickup truck (1973-1979 Chevy 4x4 1-ton with 3+3 crew cab). Does this count? I'd probably leave the fuzzy dice around the review mirror out! its more of a 50's classic car thing. You could opt for a bandana?? idk about a 4 on the floor allison and a 572. also that is the most roll bar lights ever.